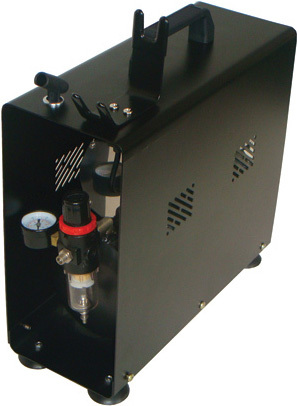 An airbrush compressor is a necessary device when you do an airbrush painting because it provides continuous airflow. While searching for the ideal compressor for airbrushes, you should take into account following features: power, loudness, measures, and price. Everyone wants an effective device that guarantees a high-quality of the work, and also is compact in size and, most important, cheap. The Paasche DC600R airbrush compressor combines all these features so you can enjoy painting, tanning, tattooing, or makeup activities. In comparison to other compressors, the DC600R is powerful enough to supply two airbrushes with consistent airflow simultaneously. Additionally, there are two small and large holders to place the airbrushes without scratching your head over where to put them. 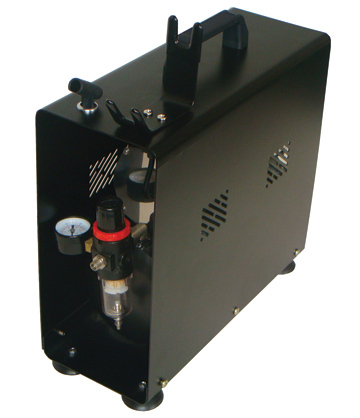 As the pressure varies from 0 to 50 PSI, it provides many applications for airbrush use, especially for those who need high pressure for work. 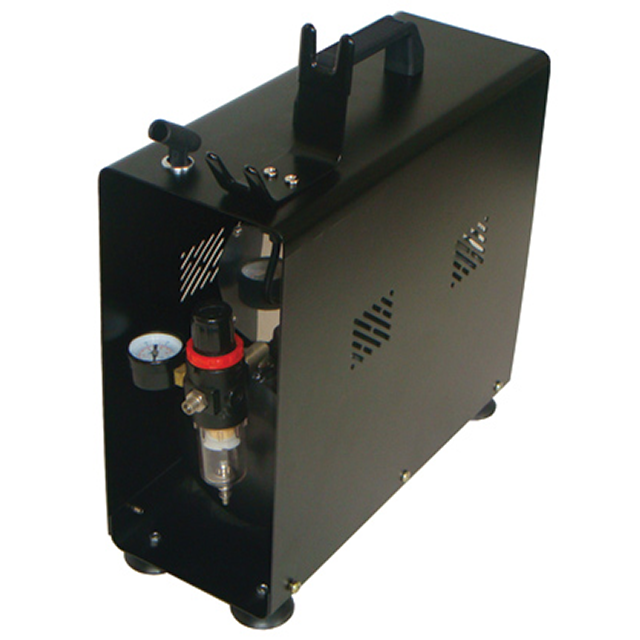 This airbrush compressor features the regulator that adjusts the pressure level while controlling the airflow. Moreover, the item has the tank for providing steady air stream and eliminating extra pulsation. It’s also important to mention the auto shutoff function of the device. The compressor switches off by itself in case of not using the airbrush. As soon as you begin painting, the airflow goes through the airbrush, and the motor starts running. 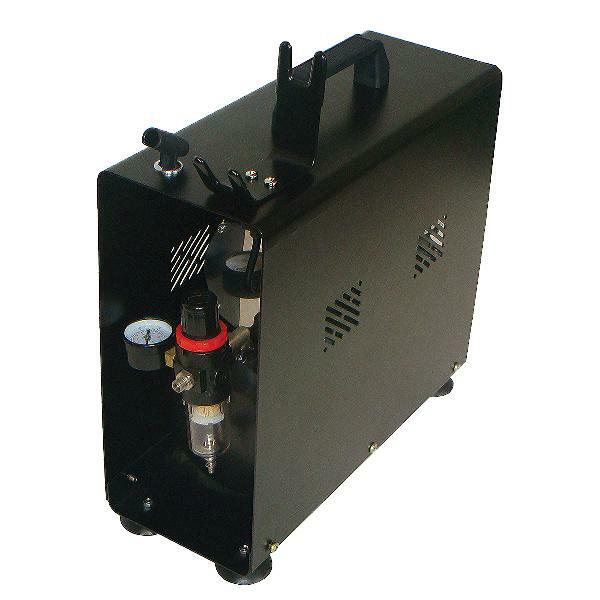 Store the Paasche DC600R air compressor in a dry and well-ventilated area. Never use it with wet hands. Keep kids away from the compressor. Follow safety and electrical rules. Use the vacuum pump in acceptable conditions. The temperature also should be +41F to +104F.